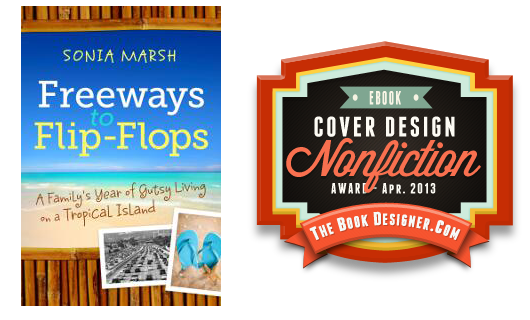 Freeways to Flip-Flops: A Family’s Year of gutsy Living on a Tropical Island won the GOLD Medal for MEMOIRS at the READERS FAVORITE AWARDS. 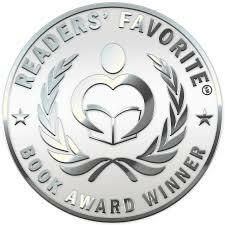 Here is a link to my 5 Star Review. 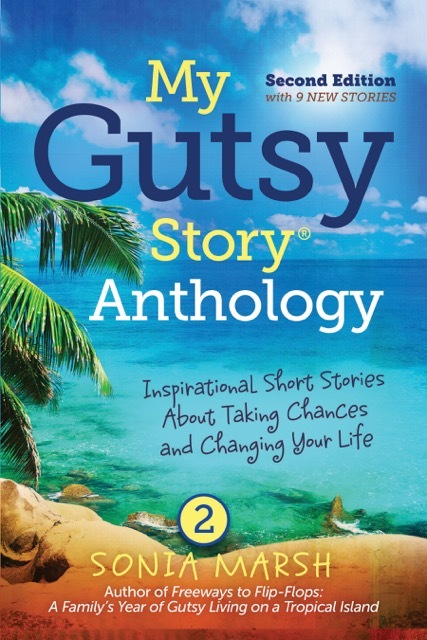 My Gutsy Story® Anthology: True Stories of Love, Courage and Adventure From Around the World, is a GOLD MEDAL WINNER in the Anthologies category. 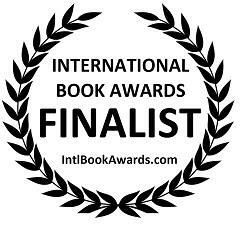 My Gutsy Story® Anthology: True Stories of Love, Courage and Adventure From Around the World, is a FINALIST at the 2014 International Book Awards. 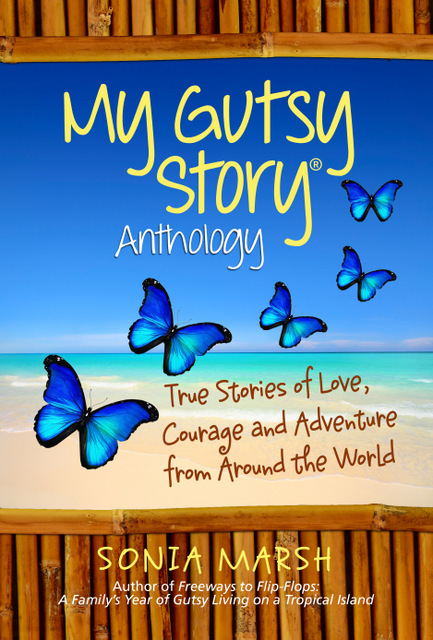 My Gutsy Story® Anthology: True Stories of Love, Courage and Adventure From Around the World, is a WINNER at the 2014 Paris Book Festival. 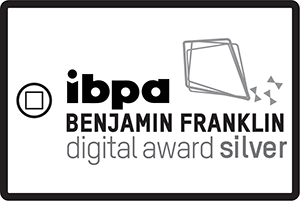 My Gutsy Story® Anthology: True Stories of Love, Courage and Adventure From Around the World, has been named a 2013 Benjamin Franklin Award Silver Honoree Winner. 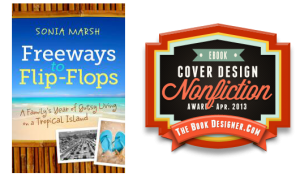 If you’re dreaming of escaping to a tropical island, or to any foreign land, don’t miss Sonia Marsh’s candid and vivid recounting of the ups and downs of life abroad. 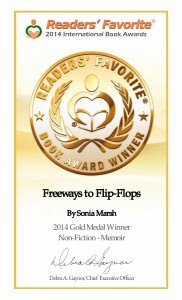 Part adventure tale, part romance, part family saga and part travel guide, Freeways to Flip-Flops is a memoir that reads like a novel. 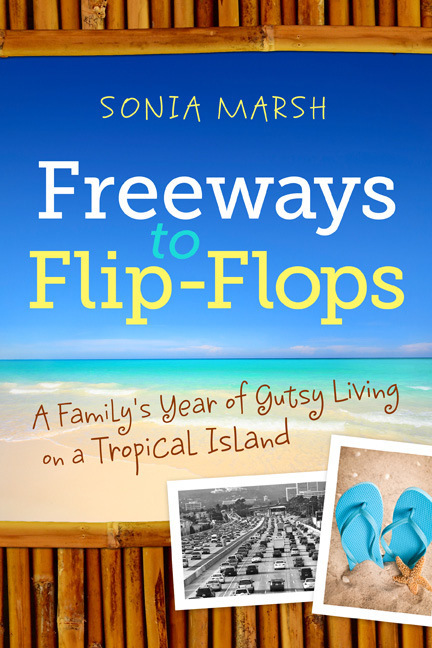 Sonia Marsh’s Freeways to Flip-Flops isn’t just a page turner about an American family that takes off for a tropical island adventure. It’s a fascinating exploration of how complicated relationships can be within a family, between friends, and across cultures. In her astonishingly honest memoir, Sonia recounts the family crisis that compelled her to take the risk, and the less than idyllic Caribbean life that followed. As Sonia draws you into her story, you’ll root for the family at every high and low, finally cheering that even though the adventure didn’t end as she had hoped, Sonia brought back the ultimate treasure: a healthy family that cherishes each other. Feels like I’ve been to Belize after reading this intriguing tale. 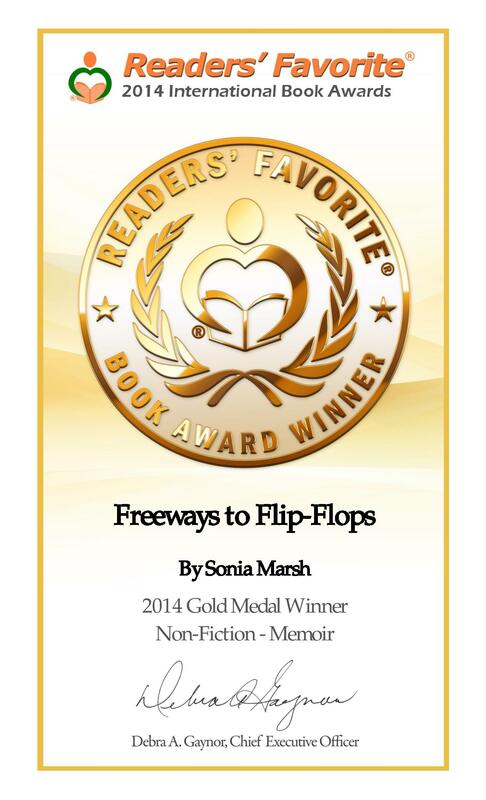 Freeways to Flip-Flops is a desperate attempt to reconnect a torn family by seeking paradise in the third world, a gutsy move with school-age kids immersed in the flashy lifestyle of Orange County, California. I loved every scene and am grateful the author kept a detailed journal of her experience. Brilliant story, wonderful writing. 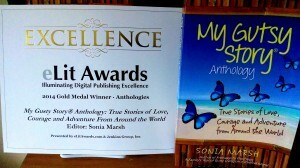 Writer’s Digest Self-Publishing Awards Review. Everything about this book is extremely professional. The writing, the cover design, the reviews, “it could compete with any trade paperback offering from Big Publishing. 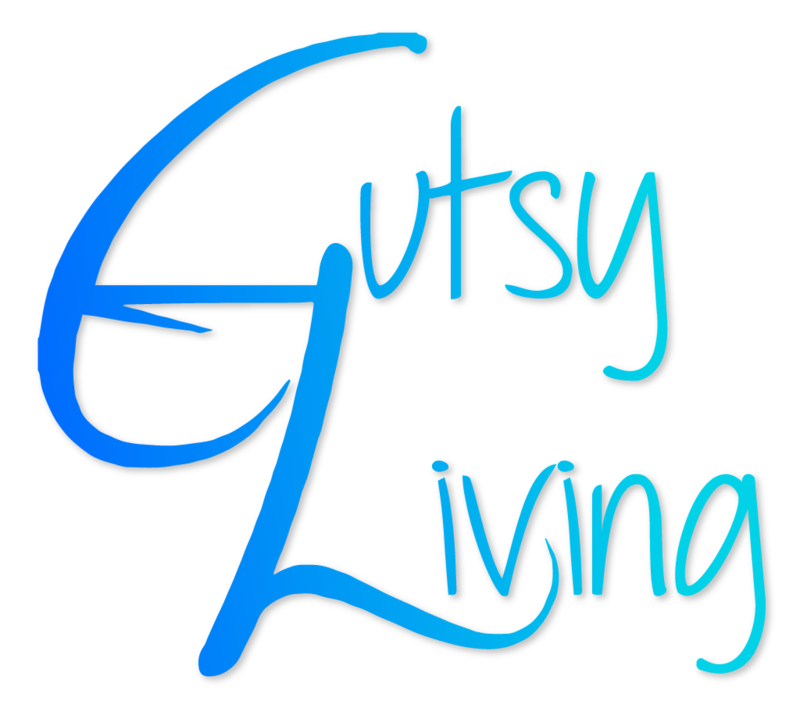 The subject matter of a family chucking it all to move to a Caribbean island is compelling; who hasn’t dreamed of escaping to a tropical paradise when things get tough? But as author Sonia Marsh points out, the reality is quite different. Not only do she, her husband and three teenage sons face mental and emotional challenges but they must deal with physical danger and deception as well. As Marsh’s page-turning memoir reveals, not everything is as picture perfect as the ocean views of Belize. They face betrayals by fellow islanders, money losses and other setbacks and move back to Orange County after a year. Their sons, the oldest of whom was headed for trouble at the book’s start, triumph and go onto successful college and military careers. 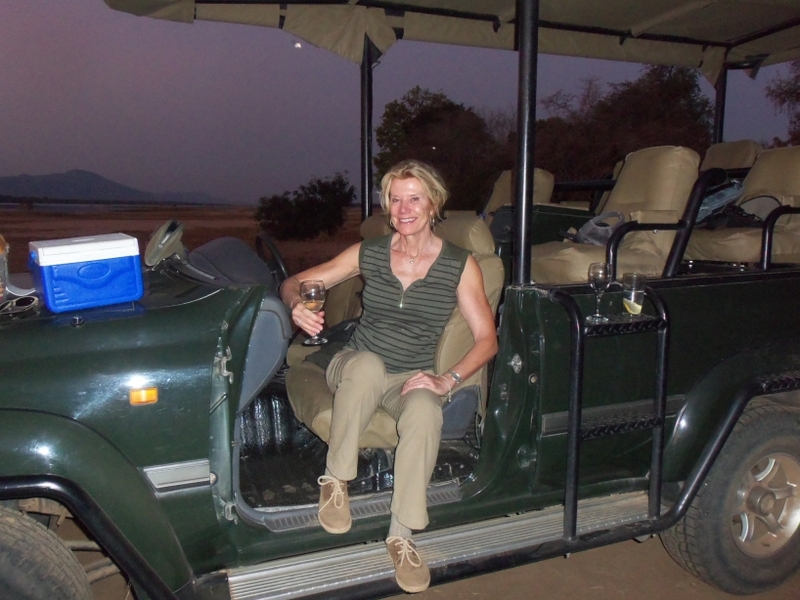 This author knows her stuff and has a great social network and Web presence. The only issue might be the over interpretation of the impact of the Belize year on her sons’ adult decisions (many children go onto succeed despite such in-depth parental intervention).Otherwise, FREEWAYS TO FLIP-FLOPS is outstanding in its class. “You were sensational last night! You had the WomanSage group riveted with your delightful tales and excellent and humorous delivery.